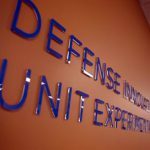 The Defense Innovation Unit Experimental has introduced a new program that aims to provide Defense Department acquisition professionals an opportunity to learn various methods used in the procurement of technology platforms and how they can work with tech companies, FedScoop reported Monday. The chosen staff will stay at DIUx’s Mountain View, Calif.-based headquarters for four months to facilitate sharing of procurement ideas as part of the Hacking Acquisition program. 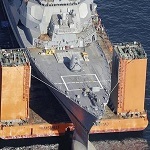 “I think what we hope to achieve is that one, they get a fundamental, foundational understanding of how to leverage different acquisition tools for different problems they’re trying to solve,” said Air Force Maj. David Rothzeid, pathways manager at DIUx. DIUx plans to fill four slots as part of the initial pilot of the HACQer program and will accept applications for the initiative through May 4. Rothzeid said DIUx expects the first selected acquisition professionals to arrive July 1 in California for the HACQer initiative.